One of my favorite ways to spend 20 minutes on a Saturday morning is to cruise the book aisle of stores like TJ Maxx, Marshalls or the Goodwill. I skim titles, read the back covers and weigh if the book will add to my collection or collect dust. Usually it’s the latter so I rarely buy them. However, sometimes I get really lucky and find a cookbook for under 5 bucks. My rule for buying cookbooks is simple: I skim the pages really quickly and look at pictures and ingredient lists and if there are more than 10 recipes that jump out at me, I buy it. Plain and simple. This trick has saved me money (sometimes I just like to collect things and that is not wallet friendly) and given me some awesome new foods to try. Two weeks ago I went to TJ Maxx and saw a book titled Simply Vegetarian for $3.99 and after skimming the pages, I knew I wasn’t leaving without it. The ingredient lists didn’t require me to travel across the world and the pictures looked appetizing. The book also won bonus points because I couldn’t find a single recipe I didn’t want to try which is rare. My other rule when buying cookbooks? I HAVE to justify my purchase which entails making dishes from the book as soon as possible. 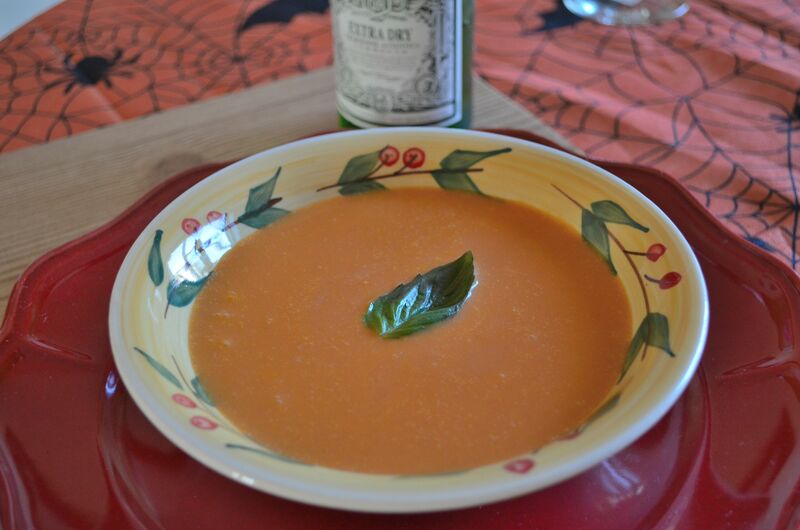 I made the creamy tomato and basil soup on page 10 of the book and was blown away at how simple it was. The soup turned out wonderful and took less than 40 minutes including prep time (although there was a misstep that required more time which I will talk about but it wasn’t the recipes fault). I modified the recipe (of course) to fit what I had in my kitchen at the time (I believe in using what you got instead of going out and buying new ingredients) and it still came out wonderful. For instance the recipe calls for dry white wine but I had extra dry vermouth (a fortified wine) and used it. 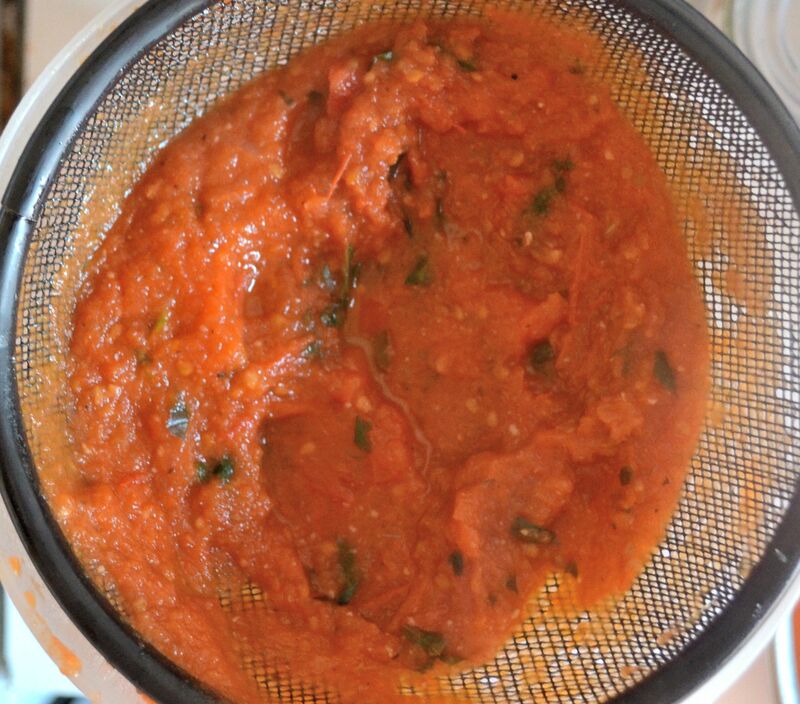 The recipe called for sun-dried tomato paste but I only had tomato paste. I also added oregano because tomato and oregano belong together. End of story. The best part about making this meal? It was so inexpensive! Tomato season is drawing to an end and I got a bunch of beautifully ripened tomatoes for FREE from the staff in my department who grow them. Yes, I said free. These tomatoes are ready to be consumed but the people who grow them can’t jar or eat them fast enough. Lucky for them I am here to help! My recommendation? 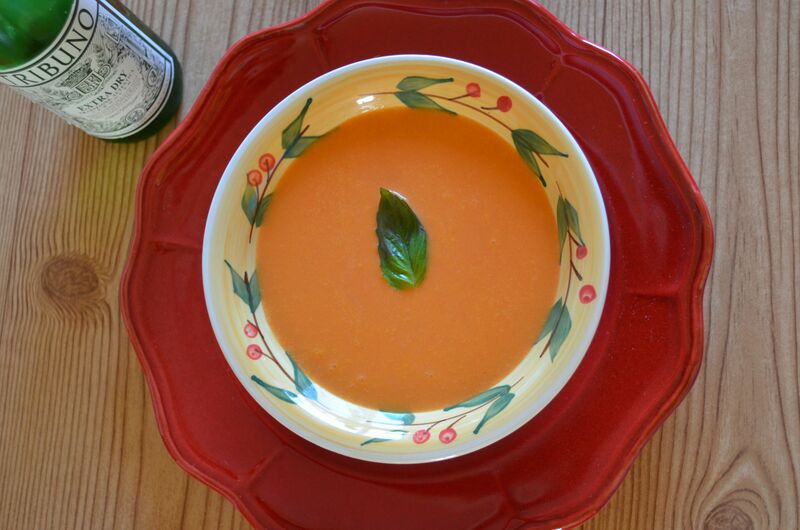 Take the end of the season’s awesome tomatoes and make this soup ASAP. It was amazing, simple and quick. This is the mistake I mentioned earlier. 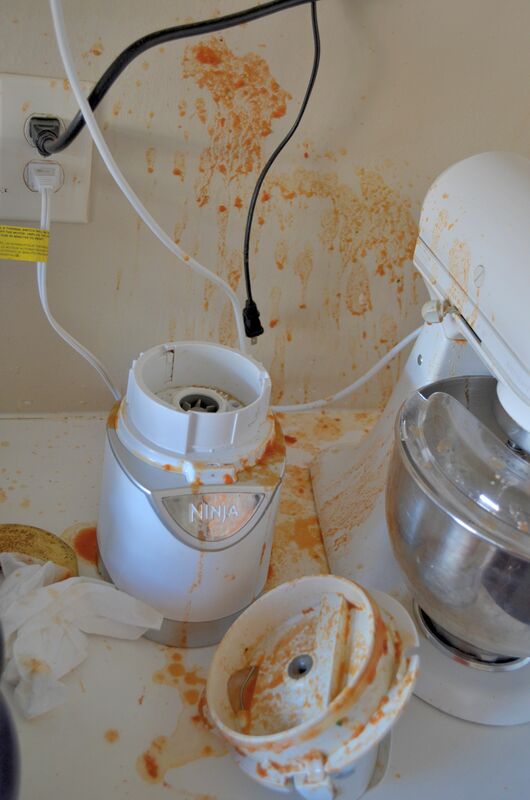 I overfilled my blender and this mess happened. Cleaning it up was a real pain. So please, learn from my mistake! After processed, use a spoon to push the mixture through a strainer. Stir in the cream (or not for vegan option) and reheat soup if necessary (do not boil). Serve while warm and garnish with fresh basil leaves.